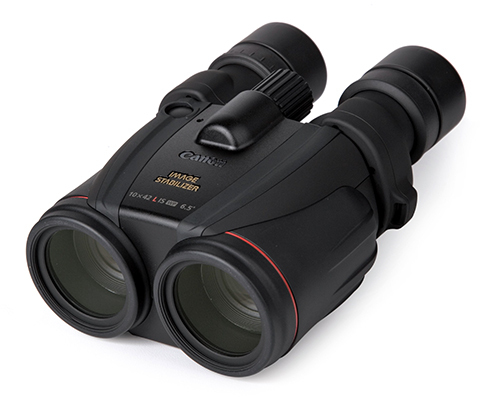 Protecting Canon’s finest quality L-series lenses with a robust, water-proof housing, the 10x42L IS WP binoculars provide unrivaled clarity, and stabilized field scoping performance. The 10x42L IS WP binoculars are the first from Canon to be engraved with the hallowed red L-series ring: a mark until now reserved for Canon’s finest professional photographic lenses; the pinnacle of Canon’s heritage in precision optics design and manufacture. 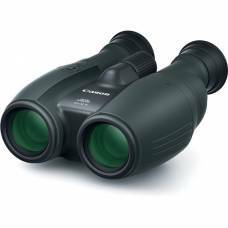 Raising optical performance standards, the binoculars feature 2 Ultra-low Dispersion glass (UD) lens elements on each side. Developed by Canon, these elements are effective in eliminating chromatic aberration - the rainbow-like distortion that affects lesser quality binoculars. The result is super bright, high contrastCONTRASTThe difference between areas of different brightness levels in a photograph: A high-contrast image has a greater difference between light and dark areas, whereas a low-contrast image has a narrow range of tones. Contrast is used to direct a viewer’s attention to a photographer’s subject either with colour contrast (bold versus duller colours) or tonal contrast (bright versus darker tones). , 10x magnification viewing clarity. All the lens element surfaces are treated with Canon’s Super Spectra coatings. These ensure vivid high contrast images with accurate colour balance by eliminating unwanted internal reflections that cause ‘ghosting’ (secondary images) and ‘flareFLAREOccurs when a point light source such as the sun or an artificial light (that is brighter than the rest of the scene), hits the front element of a lens resulting in a lack of contrast, haze, or unwanted semi-transparent objects being present in the image. You can avoid lens flare with a lenshood or filters, however, the effect is also useful for bringing artistic elements into an image, such as sun rays peaking out from behind a rock formation. ’ (low contrast, washed out images). The exceptionally large 4.2mm exit pupil allows a bright field of view in low light conditions.